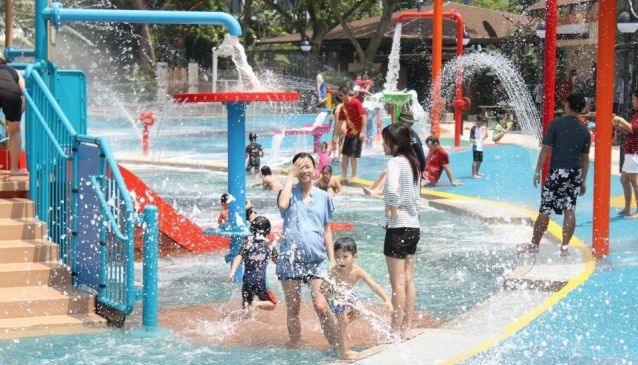 Here's a great way to cool down your kids after a few hours touring Sentosa under the sun. Located on Palawan Beach, Port of Lost Wonder is an enchanting Pirate theme water-play, which is small enough so that you can always keep an eye on your little ones, while relaxing nearby. With its water-guns, slides and showers, your kids can stay glued to the Pirate Ship for hours. They can also go splashing in a foam pool, be creative with recycled material at the Wonder Craft or learn mor about plants at the little gardening area called Pots & Planks. At Port of Lost Wonder, you can choose to have your picnic or eat at their in-house restaurant which serves delicious Western food. Admission Tickets: S$10 per child on weekdays and S$15 per child on weekends, school holidays and Public Holidays. POLW Annual memberships are available at $120 per child. Perfect for children 12 years and below. Accompanying adults enter free.